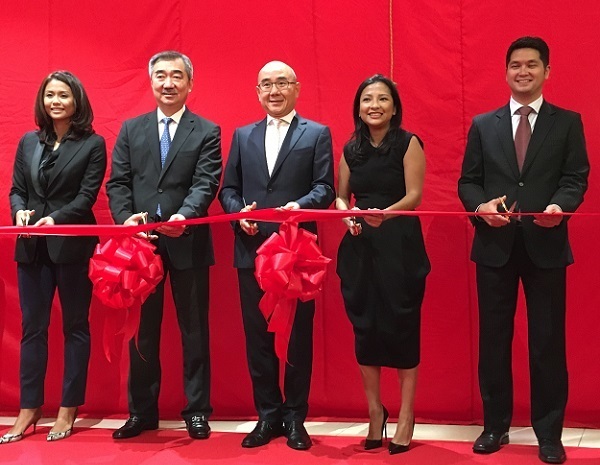 A project two years in the making, The Moment Group (behind restaurant concepts 8Cuts, Manam, 'Cue, Phat Pho Manila, Linguini Fini Manila, Mecha Uma, Ooma, and Bank Bar) has acquired the Philippine franchise of the Taiwanese brand most famous for their flavorful soup dumplings. 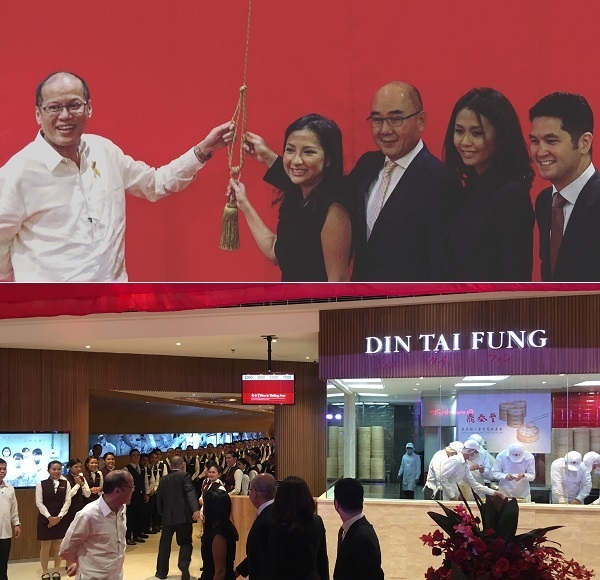 After a special sneak peek one week before its opening, and last evening's grand launch with media and special guests, Din Tai Fung has officially opened its first restaurant in the country today, December 8. 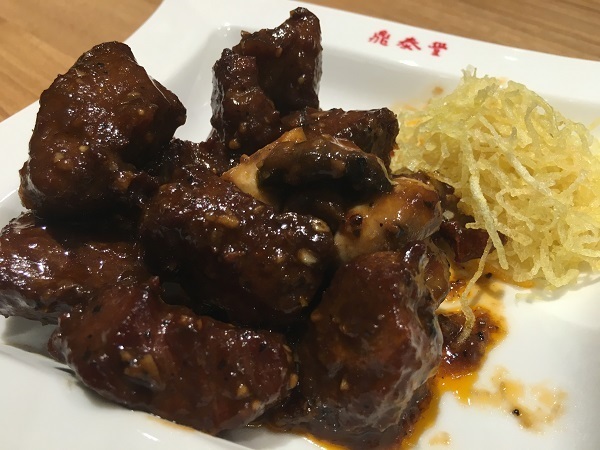 Here's what is in store for you when you visit the Michelin-starred Din Tai Fung in Manila. 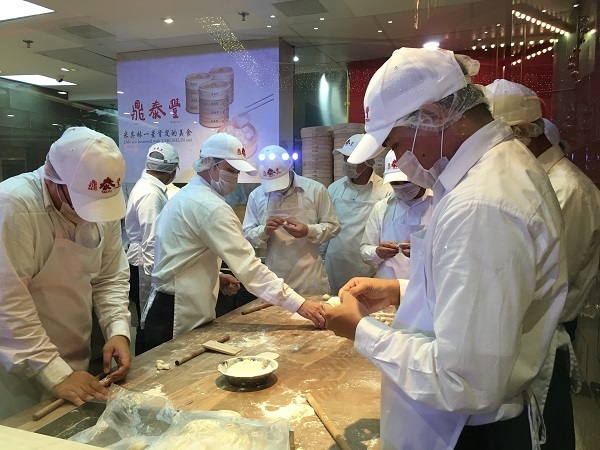 The Moment Group team trained for six months in Taiwan to learn the Din Tai Fung way of doing things -- from front of house, customer service, to kitchen duties learning the culinary techniques that make the world renowned chain consistent in food quality and service. 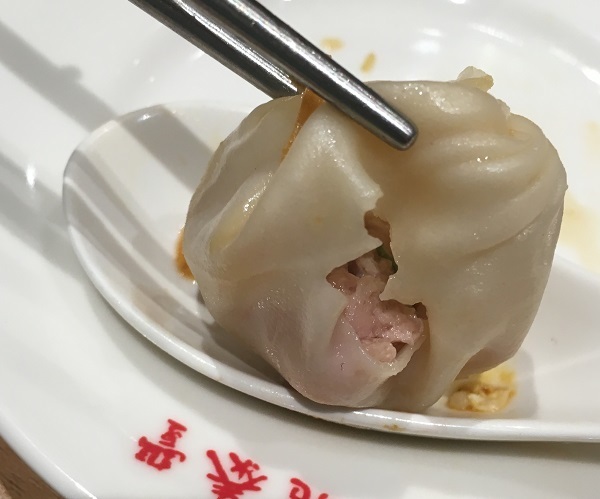 And at the forefront of Din Tai Fung's food lineup is its superstar, the Xiao Long Bao -- dumplings precisely prepared and steamed, with a near-translucent skin of flour serving as pockets to flavorful broth and meaty filling. 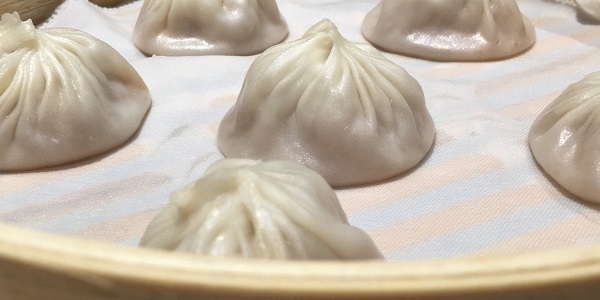 The Manila menu currently lists five types of Xiao Long Bao you can order, with its must-try Pork Xiao Long Bao (P160/5pcs, P315/10pcs) leading the lineup. 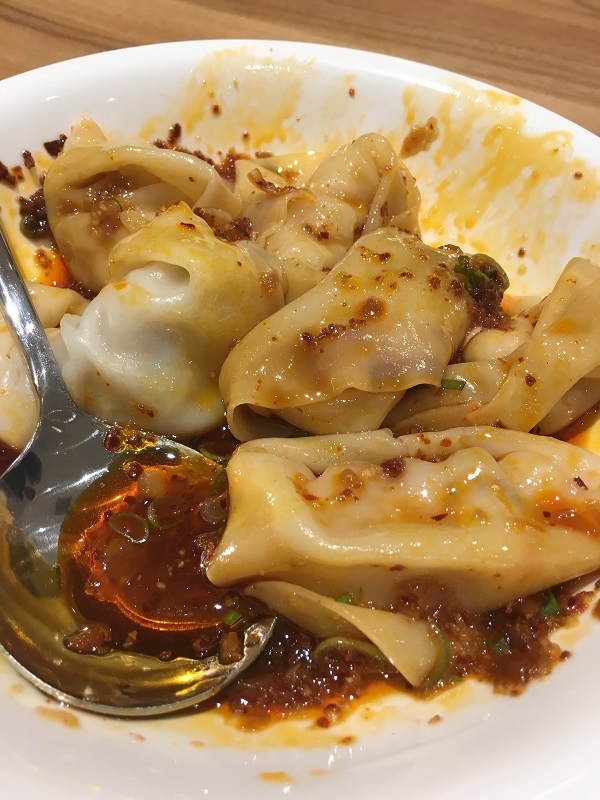 Xiao long bao is best paired with the signature trio placed in a saucer: slivers of ginger, a portion of soy sauce, and more portions of vinegar. 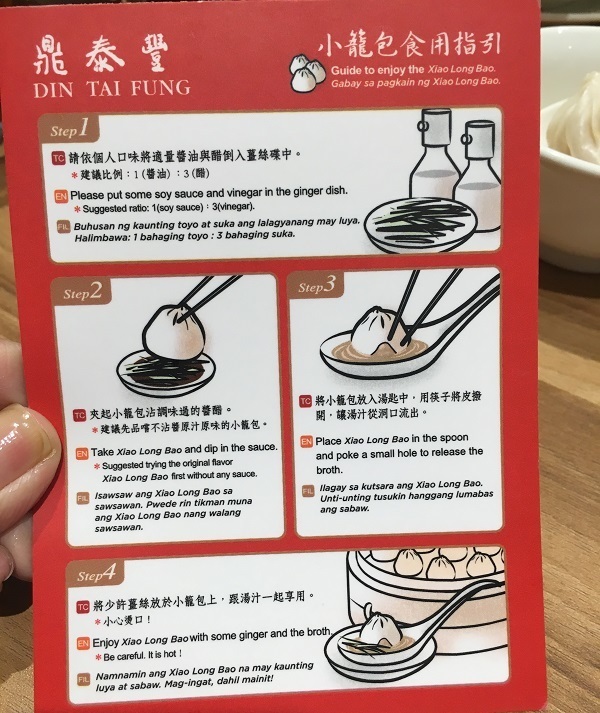 For first timers, an instruction card will serve as your guide to making your XLB dipping sauce and to consuming the soupy dumplings --- these are filled with hot soup, so people are extra cautious about spooning the entire piece into the mouth. 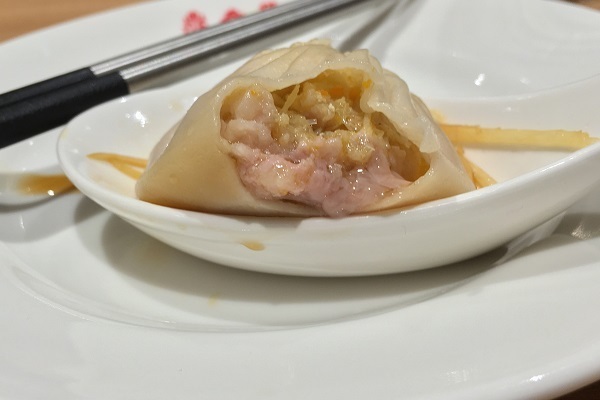 What's recommended is poking a tiny hole with your chopsticks to let the pockets of steam and some soup out, while I personally nibble a little of the skin from the top and sip a bit of the soup before devouring the entire dumpling, with ginger, soy sauce, and vinegar clinging on its skin. 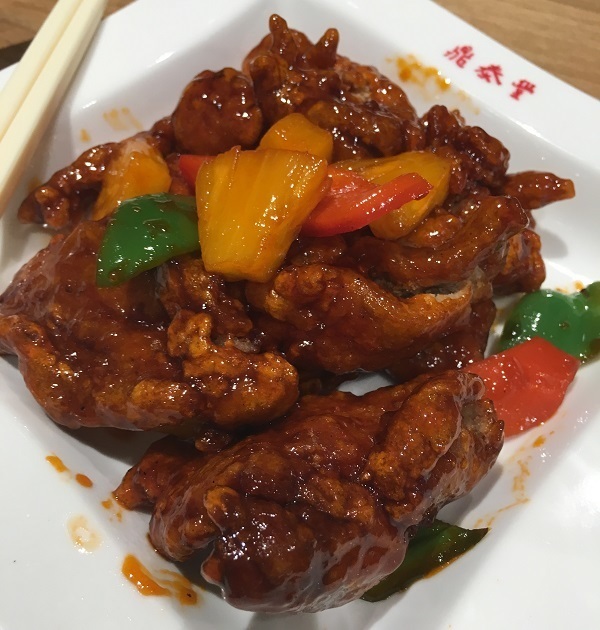 More creations and special limited time flavors will appear on the menu, while other flavors like Chicken Xiao Long Bao (P160/5pcs, P315/10pcs) and Green Squash and Shrimp Xiao Long Bao (P160/5pcs, P315/10pcs) are now available. 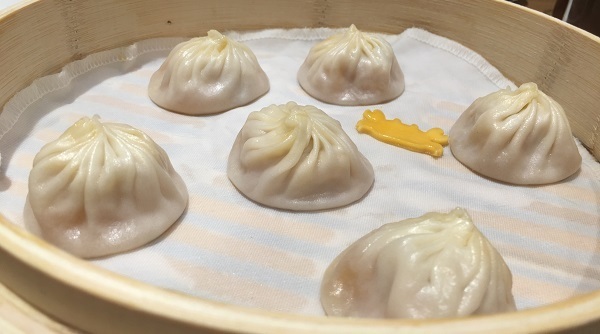 Premium fillings also await the Manila soup dumpling lovers--must not miss are the Crab Roe and Pork Xiao Long Bao (P285/5pcs, P565/10pcs) which gives both broth and meaty bite an added depth of richness while remaining balanced in flavor. 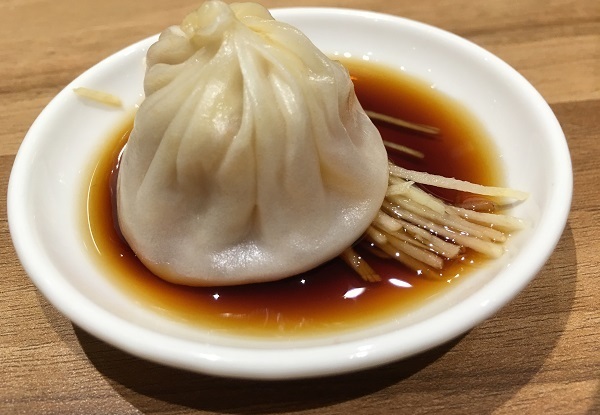 Must order is another favorite across DTF stores worldwide, the Truffle and Pork Xiao Long Bao (P135/piece) which is a delicious decadent of a dumpling to spoil your tastebuds with. 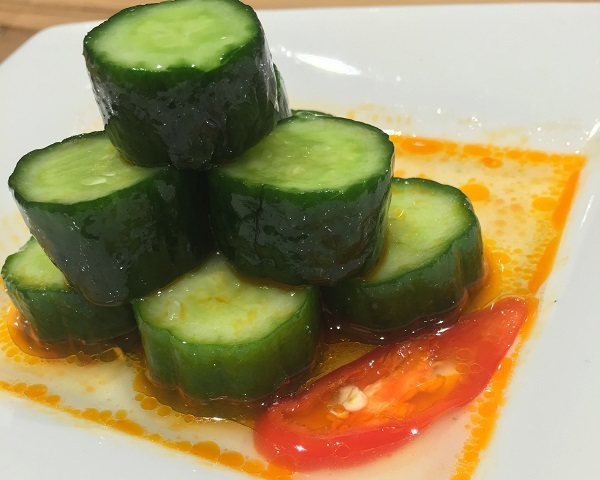 Aside from the soup dumpling lineup, there are more dishes to choose from in this Asian restaurant, with many Chinese favorites found on their menu. 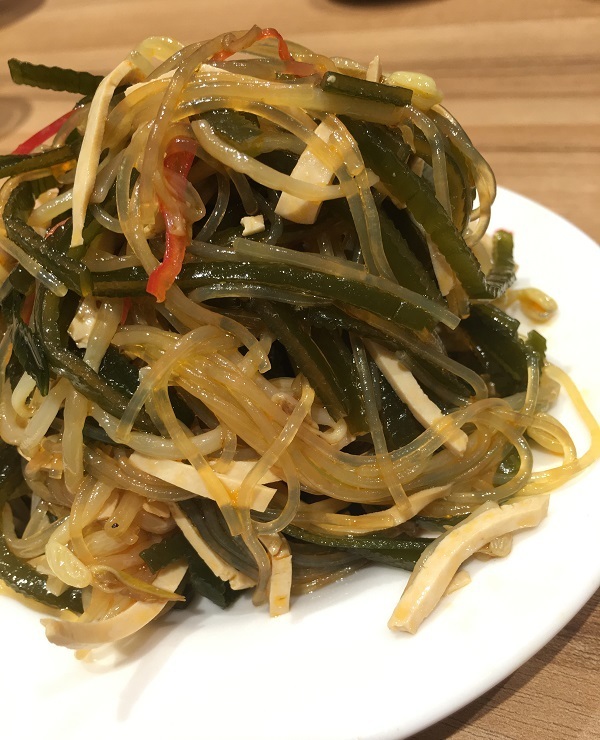 For veggie-loaded items, start off with the Din Tai Fung House Special (P155), a tangy oriental salad with julienned seaweed, strips of beancurd, vermicelli, and bean sprouts, or the crisp and light Spicy Pickled Cucumber (P125). 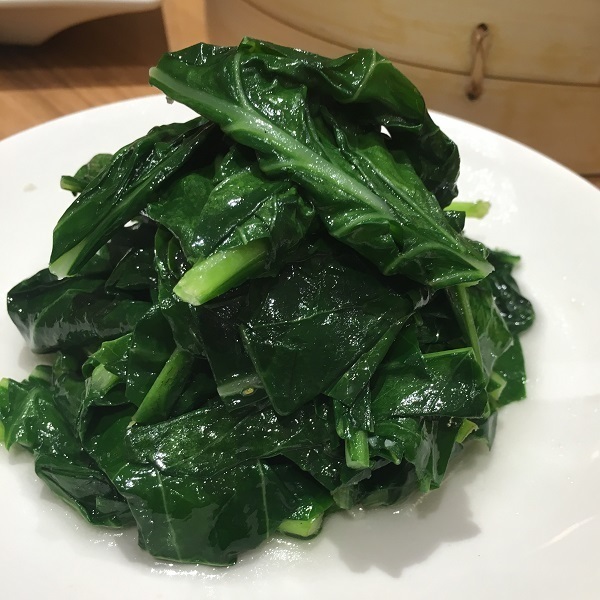 A good pair in between bites of xiao long bao to cleanse the palate is the simple and healthy Stir-Fried Organic Kale (P230). More dumplings and wontons line up the menu of Din Tai Fung, like another must-try, Shrimp and Pork Pot Stickers (P220/6pcs), and the Shrimp and Pork Wontons with House Special Spicy Sauce (P185/6pcs), which has a vegetarian counterpart -- Vegetarian Mushroom Wontons with House Special Spicy Sauce (P186/6pcs). 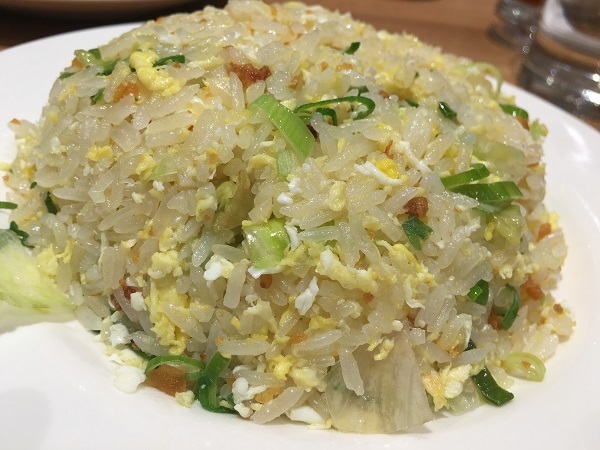 There are also deep-fried snacks and other steamed dumplings to cater to all sorts of Chinese food cravings, and to appease the Filipino craving of rice to pair with their savory orders, they have a fried rice lineup (currently five different kinds), including Fried Rice with Salted Fish (P180). 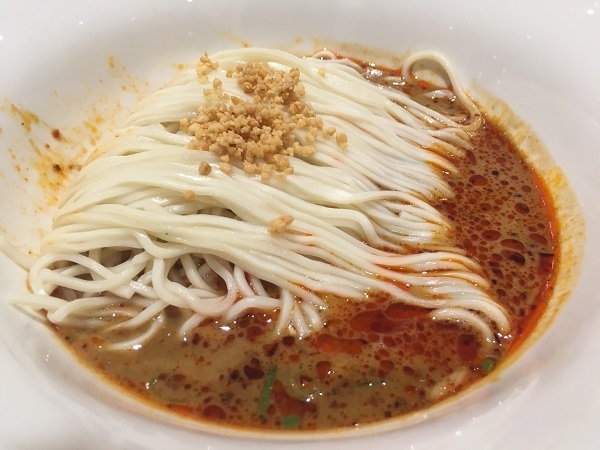 For the noodle lovers, choose among their many noodle soups, fried noodles, and sauced noodles; a personal favorite is their Dan Dan Noodles with Spicy Sesame and Peanut Sauce (P145) -- it's light amount of hotness blends well with the rich peanut sauce, making this meatless bowl of noodles lipsmacking and simply addicting. 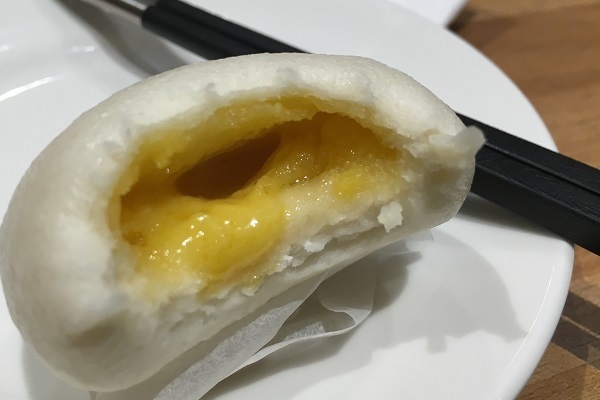 Included in the Din Tai Fung Philippines menu are savory entrees perfect to combine with rice, and items that are exclusive to the country, like a dessert xiao long bao -- the Chocolate Lava Xiao Long Bao (P115/3pcs) which has a gooey filling of pure chocolate. For your rice match, try favorites like the Black Pepper Beef (P395) and Sweet and Sour Pork (P255). 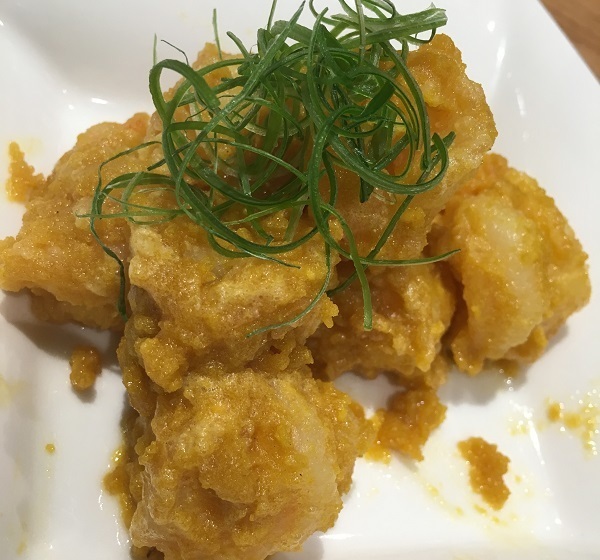 For those who love the salted egg sauce, its unique texture and rich flavor, there are dishes here made just for you, like the Salted Egg Yolk Prawns (P395) so flavorful you'll end up ordering rice with it, and the luscious Golden Lava Salted Egg Yolk Bun (P85/2pcs), subtle in its sweetness but overflowing with the warm and thick lava of salted egg yolk, two pillowy buns may fall short to satisfy your fix--it's terribly addicting to eat. Welcoming the Din Tai Fung early birds is a special treat: a FREE basket of their Pork Xiao Long Bao! 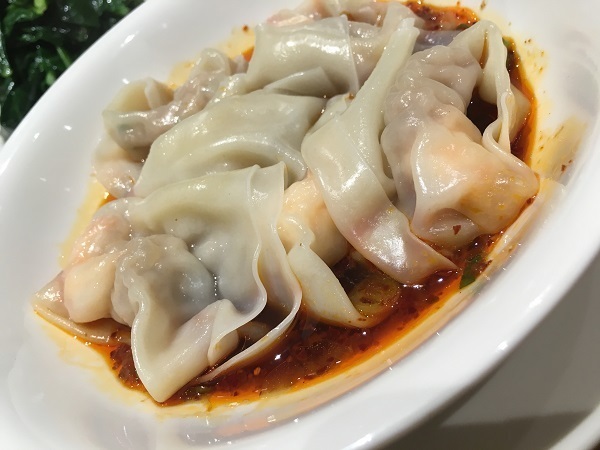 From its opening day December 8 until December 15, the first 50 tables every day get free Pork Xiao Long Bao (5pax and below gets a small basket of 5 pieces and a group of 6pax or more gets a big basket of 10 pieces). Line up early for this special treat (the restaurant's efficient queueing system will make the wait more orderly) and be one of the first to experience DTF right in our shores. Ushering in the World's Most Famous Xiao Long Bao to the Philippines! 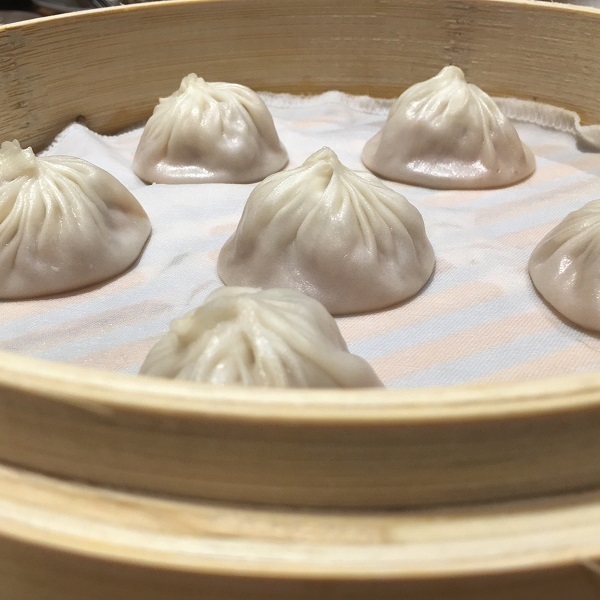 The five-time Michelin star awardee will be treating their first customers with a free basket of Pork Xiao Long Bao during opening day December 8 until December 15, 2015. 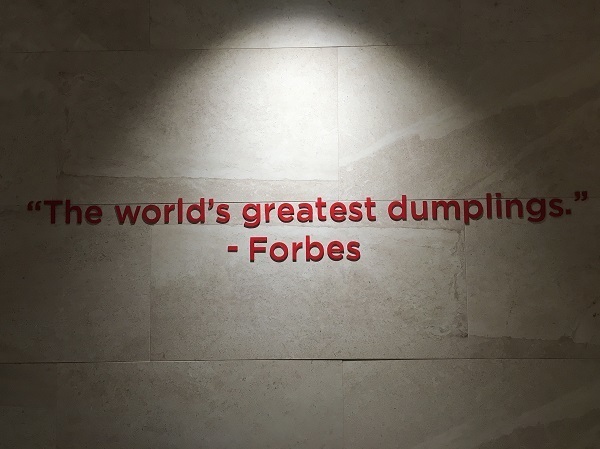 Din Tai Fung Philippines is located at the Ground Floor of the Mega Fashion Hall, SM Megamall. For inquiries, call +632 997 1935, +632 997 1936, +632 997 0931. 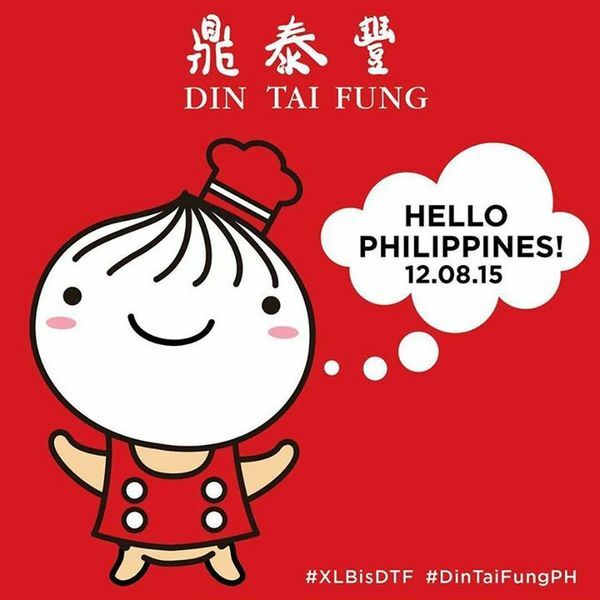 Visit www.dintaifungph.com, follow Din Tai Fung Philippines on Instagram (@dintaifungph) and like on Facebook (/dintaifungph).